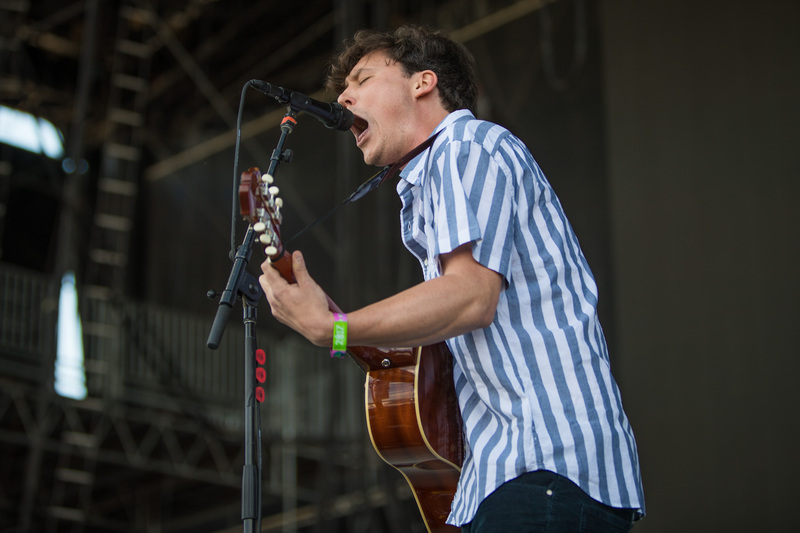 Brian Sella of The Front Bottoms performs at Bonnaroo Music & Arts Festival in Manchester, TN, USA on June 10, 2017. 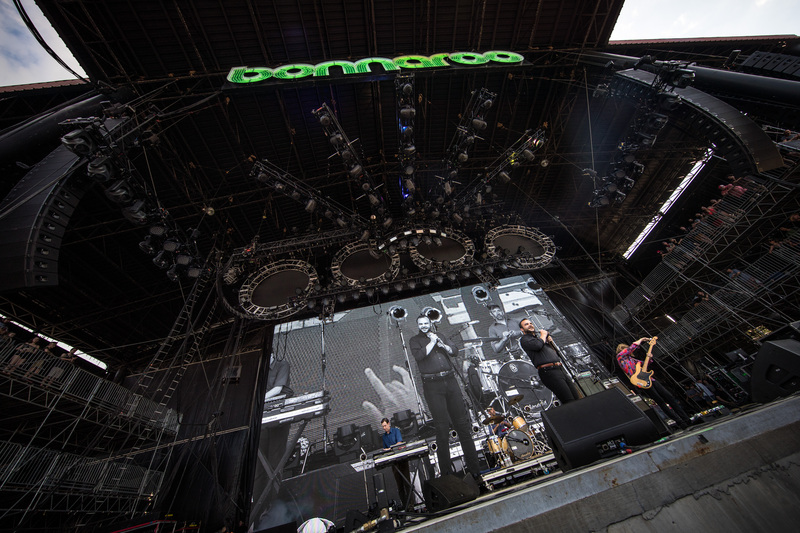 Day 3 of Bonnaroo began for me around 1:00pm when I arrived on site with the rest of the team. My first shoot of the day was back at What Stage with The Front Bottoms. I arrived early to scope things out, thankfully, because the thrust that was there the day before was gone. This meant that the entire stage front was free reign for photographers rather than some of them being relegated to one side of the thrust. 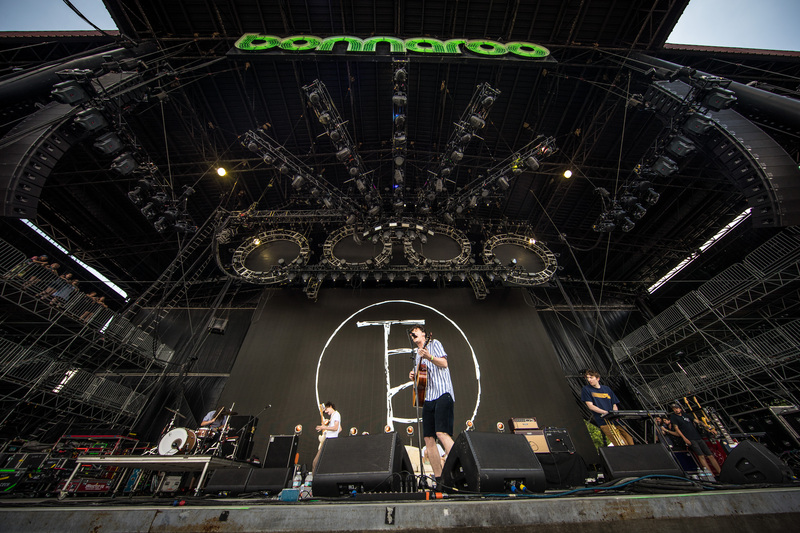 The Front Bottoms perform at Bonnaroo Music & Arts Festival in Manchester, TN, USA on June 10, 2017. You can stake out your spot if you want, but the reality is that everyone will be moving around during the allotted shooting time. And if you want to be respected by everyone else in the pit, you also show respect by making sure everyone is able to get what they need rather than hogging a spot the entire time. Mathew Uychich of The Front Bottoms performs at Bonnaroo Music & Arts Festival in Manchester, TN, USA on June 10, 2017. My next scheduled shoot was a few hours later, so I went back to the production trailer and did a quick edit before grabbing lunch and heading out to shoot lifestyle/ambience photos. 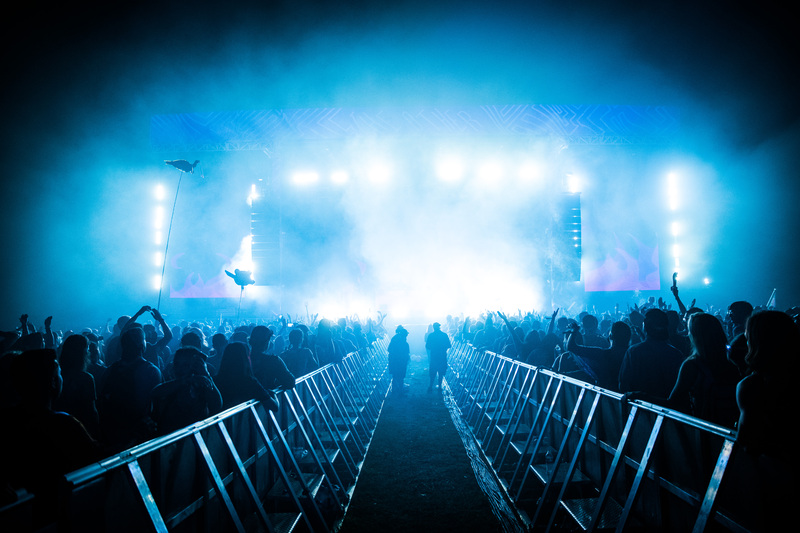 Attendees enjoy Bonnaroo Music & Arts Festival in Manchester, TN, USA on June 10, 2017. Before leaving the production trailer, my assistant grabbed a few cans of Red Bull so we could give them to attendees who were willing to pose for photos for us. I went up in the ferris wheel to take photos, but didn’t really get what I was hoping for. When I came down, there were a couple of girls taking selfies in front of the ferris wheel, so I asked if they would let me shoot some as well. While I was shooting them, this other friend of theirs came along and asked if I wanted him to lift one of them in the air. “Sure, why not? !” was obviously my response, which resulted in the photo above! Attendees enjoy the Bonnaroo Fountain at Bonnaroo Music & Arts Festival in Manchester, TN, USA on June 10, 2017. 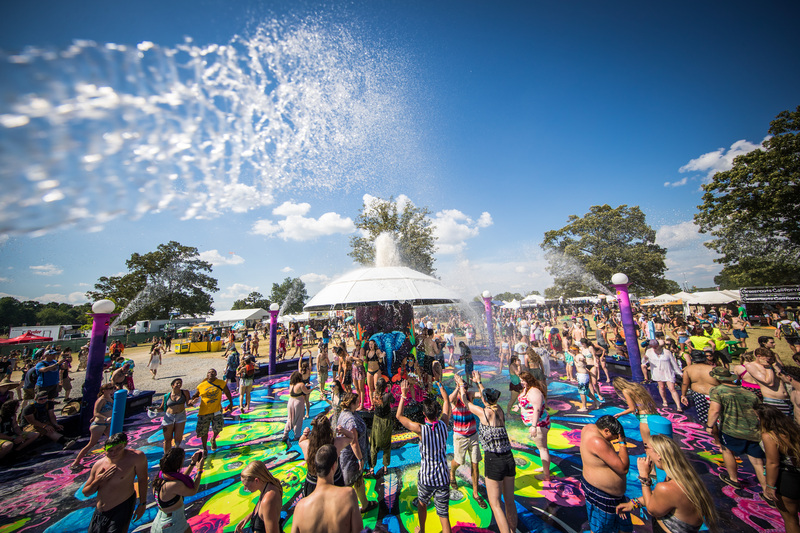 The Bonnaroo Fountain at Centeroo is iconic for the festival, so I went there in hopes of capturing shots of people cooling down in the mid-day heat. I climbed up on one of the benches on the outer perimeter and got my 11-24 mm f/4 as close to one of the sprayers as possible and fired off a few series of shots. 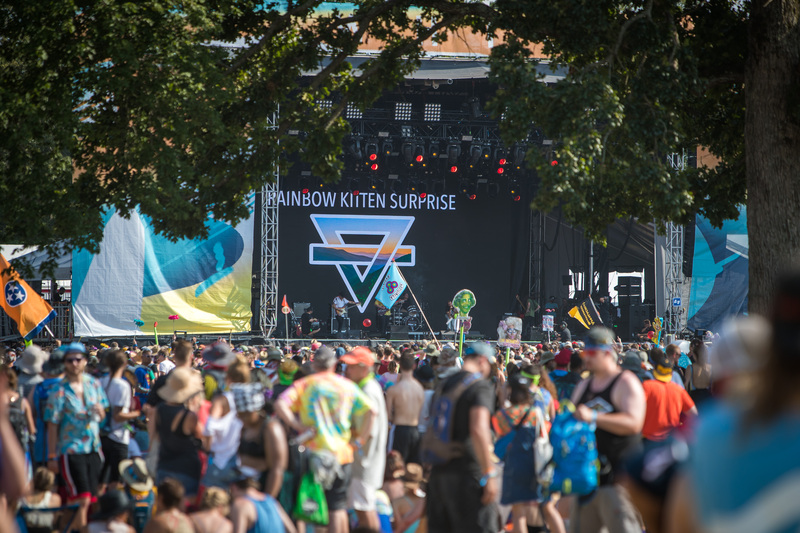 Rainbow Kitten Surprise perform at Bonnaroo Music & Arts Festival in Manchester, TN, USA on June 10, 2017. While I was on my way back to the production trailer to edit again, I walked by Which Stage where Rainbow Kitten Surprise was playing. That’s just one of the best band names ever, so I had to grab a shot from the back of the crowd! 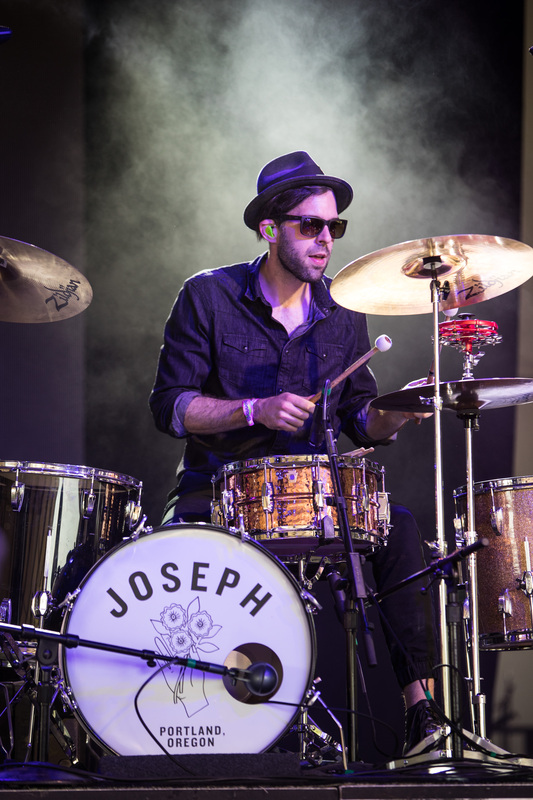 Joseph perform at Bonnaroo Music & Arts Festival in Manchester, TN, USA on June 10, 2017. 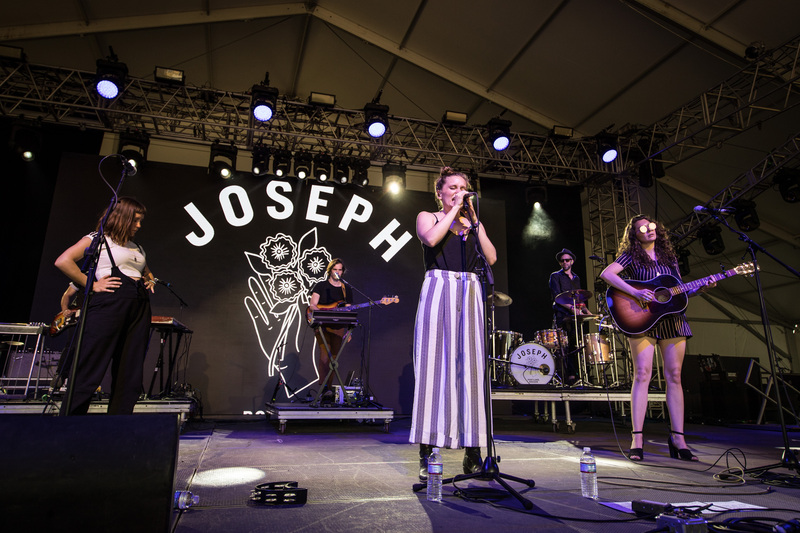 After editing, it was time to get back to That Tent to photograph Joseph’s set. This trio of sisters put on an absolutely captivating performance! 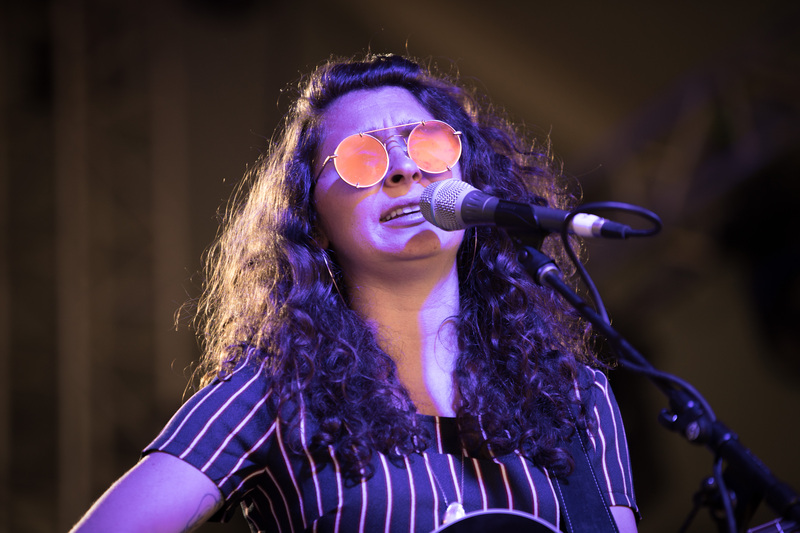 Allison Closner of Joseph performs at Bonnaroo Music & Arts Festival in Manchester, TN, USA on June 10, 2017. 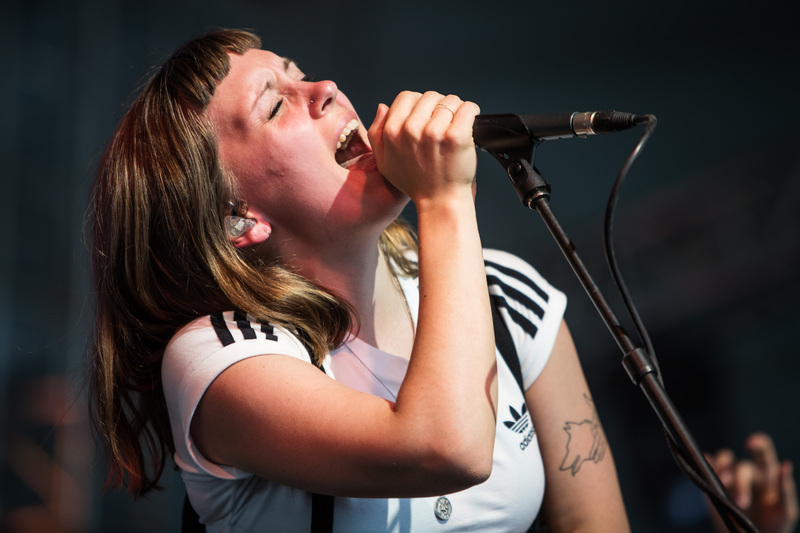 Natalie Closner Schepman of Joseph performs at Bonnaroo Music & Arts Festival in Manchester, TN, USA on June 10, 2017. I really liked the mirrored sunglasses that Natalie was wearing, so I probably shot too many photos of her! Puffs of smoke kept coming out from behind the drummer, so I shot him until I got a frame where it was perfectly positioned to give separation between him and the darkness behind him. 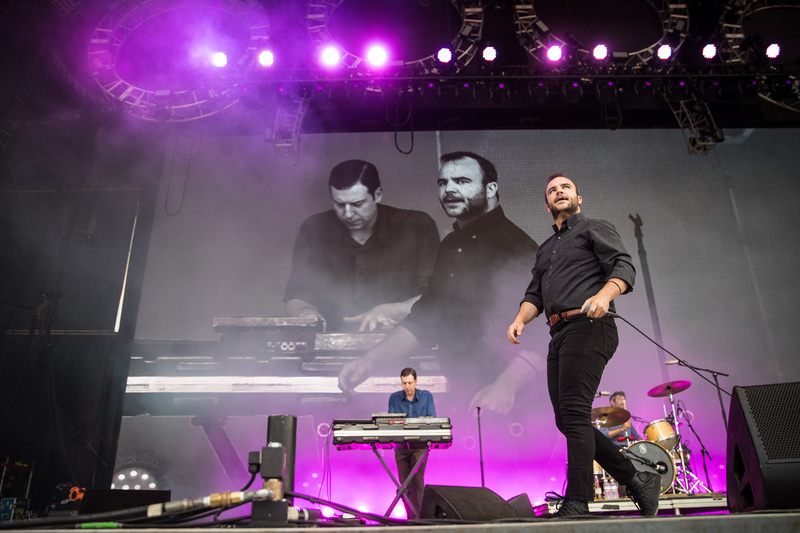 Future Islands perform at Bonnaroo Music & Arts Festival in Manchester, TN, USA on June 10, 2017. After that, it was time to head back to What Stage for Future Islands. Lead singer Samuel T. Herring has become known for his impassioned and emotive performance, and he delivered on those expectations. 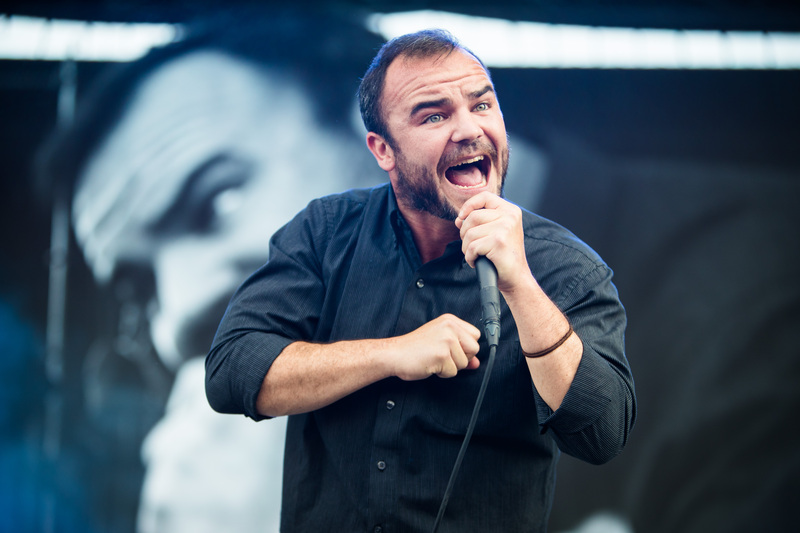 Samuel T. Herring of Future Islands performs at Bonnaroo Music & Arts Festival in Manchester, TN, USA on June 10, 2017. I had a couple of hours between Future Islands and my next performance shoot, so I set out to find some more ambience photo opportunities, especially since sunset was nigh. 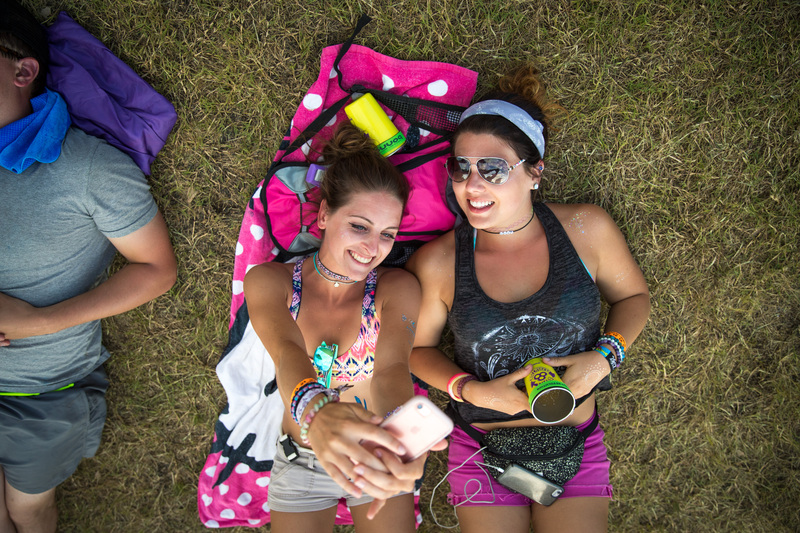 Attendees take a selfie at Bonnaroo Music & Arts Festival in Manchester, TN, USA on June 10, 2017. As I walked toward the back of the crowd at What Stage, I spotted these two ladies taking selfies and got a quick shot of them. 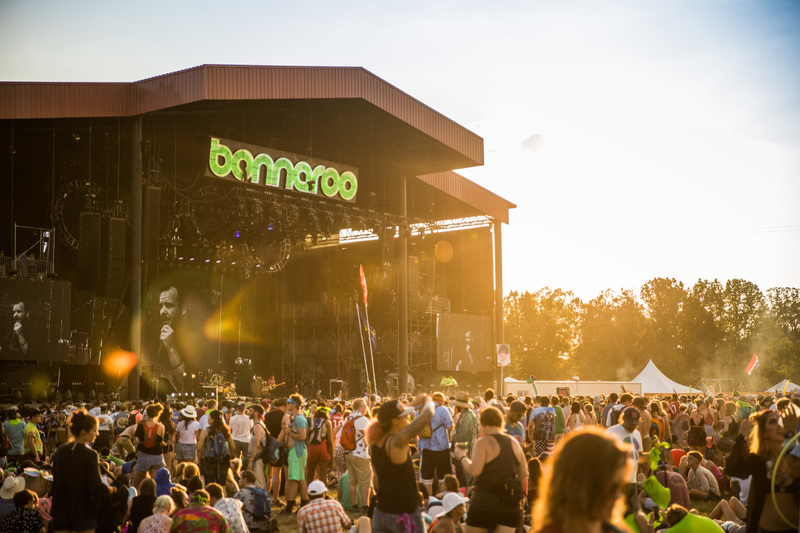 Bonnaroo Music & Arts Festival in Manchester, TN, USA at sunset on June 10, 2017. I also saw that the sun was starting to set and grabbed some shots of What Stage with that golden light adding a lens flare. 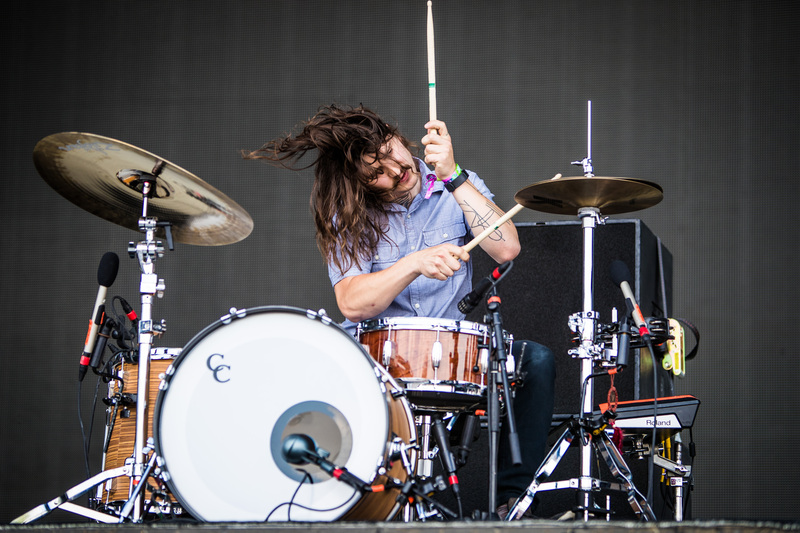 Bonnaroo Music & Arts Festival in Manchester, TN, USA on June 10, 2017. From there I quickly made my way over to the Centeroo area near The Other and Jake & Snake’s Christmas Club Barn to get a golden hour crowd photo. Once I was happy with the golden hour shots I had gotten, I went back to the production trailer to edit and upload before heading out to my first shoot at The Other stage. 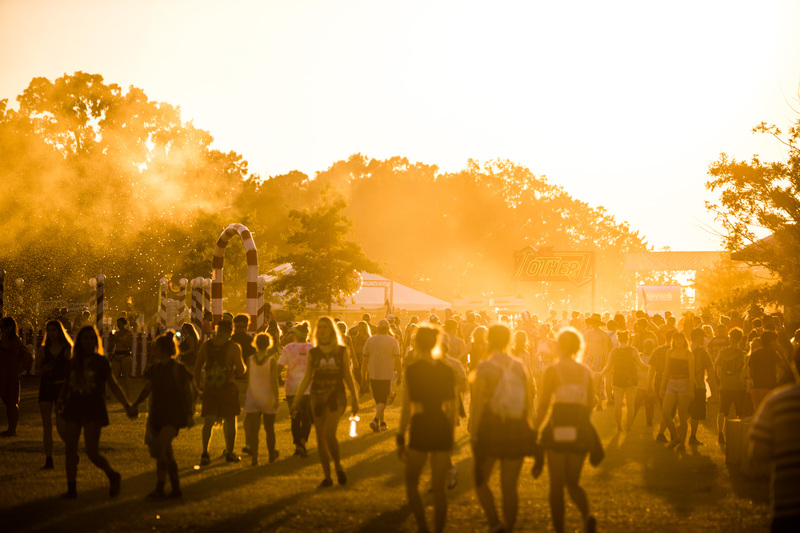 Little did I know that I was about to discover my new favorite place to shoot at Bonnaroo! 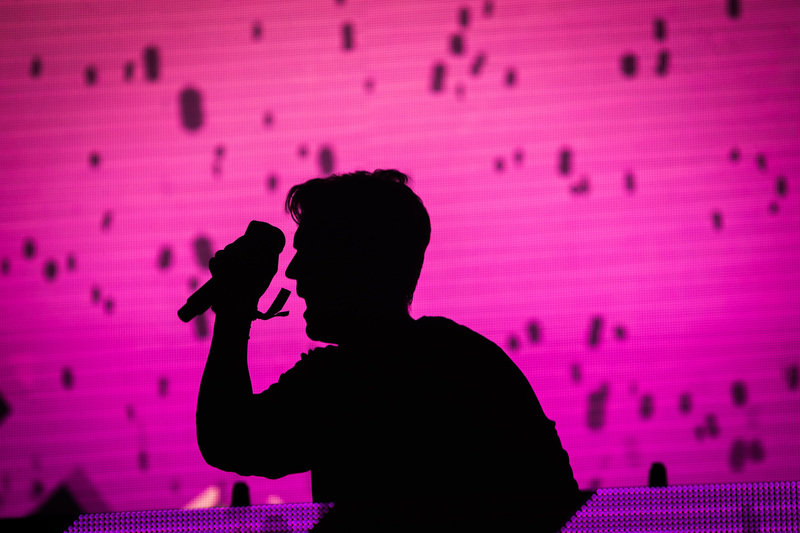 Matoma performs at Bonnaroo Music & Arts Festival in Manchester, TN, USA on June 10, 2017. I wasn’t technically scheduled to photograph Matoma’s set, but I also wasn’t scheduled to shoot anything else until 2:00am. So I tagged along with Jeremy Deputat to check out the stage since I hadn’t been there yet. This stage had a different vibe than the others I had shot at. While there were other types of performances here, it was primarily the EDM stage. Everyone there was just looking to have a fun time, even security! While the security at other stages was professional, they were also pretty stern and you could tell when they’d had enough. Here, security was dancing along with the music and passing out water to thirsty attendees. Plus there was a big aisle down the middle of the crowd, which allowed for shots like the one above! I’m a sucker for a good silhouette, so this was one of my favorite shots. After Matoma’s set, I still had plenty of time to kill, so I went back to the production trailer again to make sure I was 100% caught up with all of my editing and uploading, and double check all of my backups. 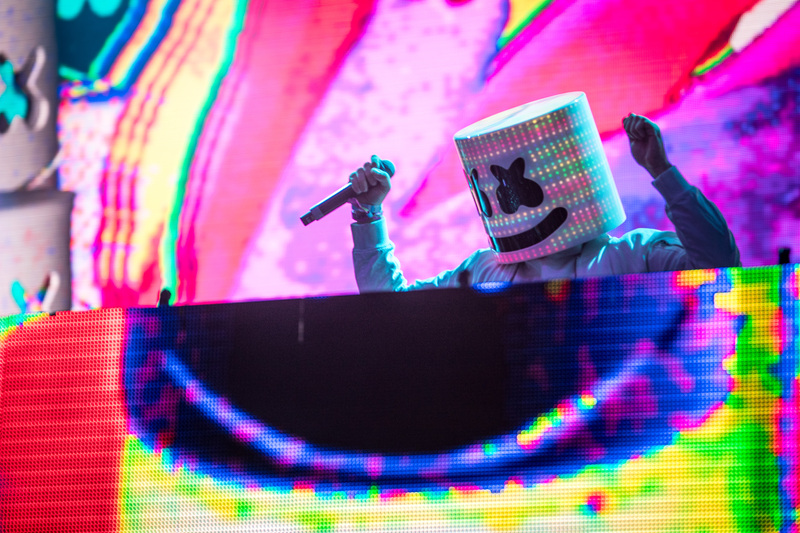 Marshmello performs at Bonnaroo Music & Arts Festival in Manchester, TN, USA on June 11, 2017. Finally, it was nearing 2:00am, so I hopped on a golf cart and made my way back to The Other. 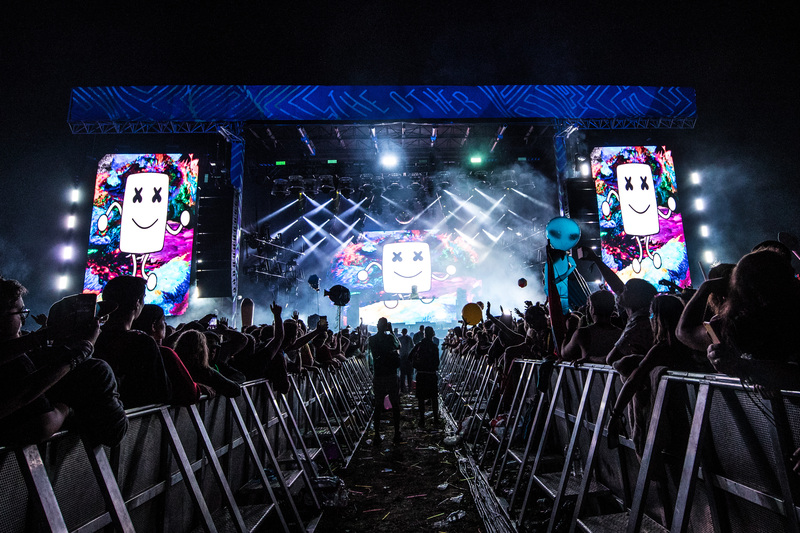 (Side note: The Other was on the complete opposite corner of the grounds from our production trailer, and my first time using a golf cart during the festival was when I tagged along with Jeremy for Matoma’s set. This was LIFE CHANGING for me once I realized I could do this! I still walked to other destinations, but any time I went back to The Other from here on out, it was on a golf cart). During the set, I shot from the back of the middle aisle and got stage/crowd shots for a few minutes. 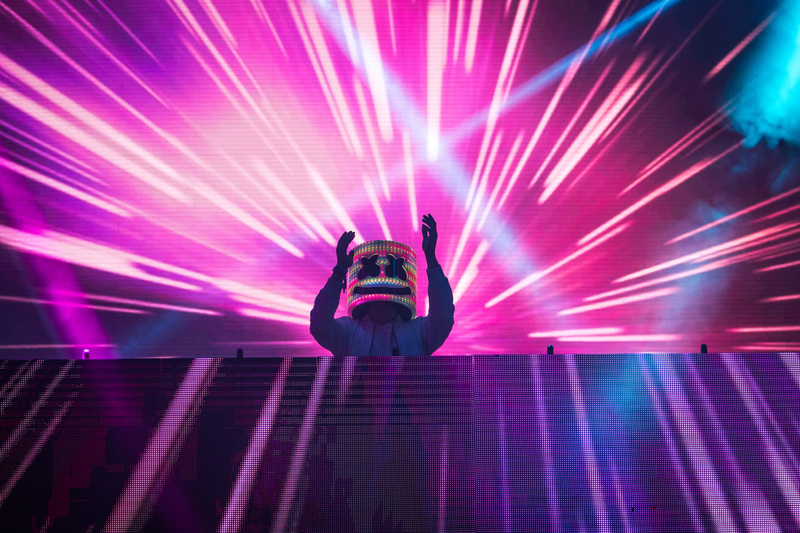 And also up at the front to get closer shots of the infamous Marshmello helmet. I shot for maybe 10-15 minutes and wrapped up since it was so late. Hopped back on the golf cart and went back to the production trailer to meet my editor and head to the hotel. When we got back, we worked in the lobby so I could do my editing and upload to the Red Bull Content Pool and the Dropbox folder others were pulling images from before calling it a night at around 4:00am.